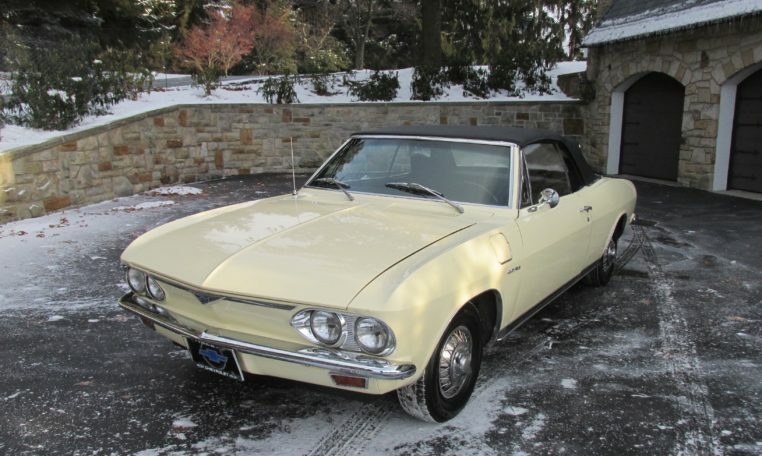 This is a 1966 Chevrolet Corvair Corsa convertible. 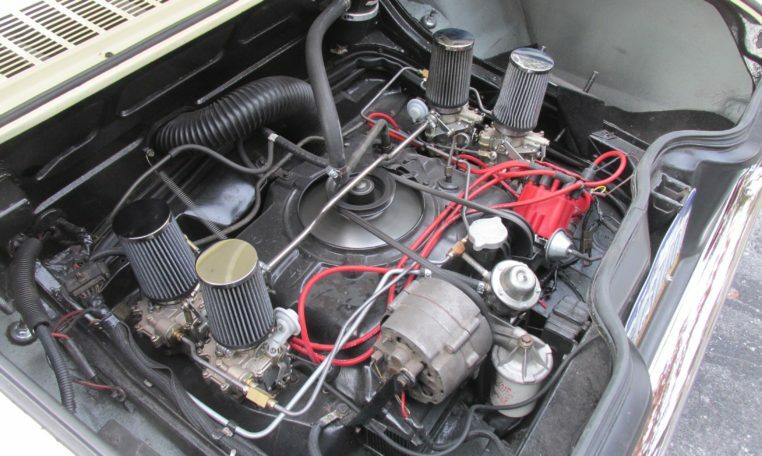 It features a newly rebuilt flat six, 4 speed transmission, and power top. 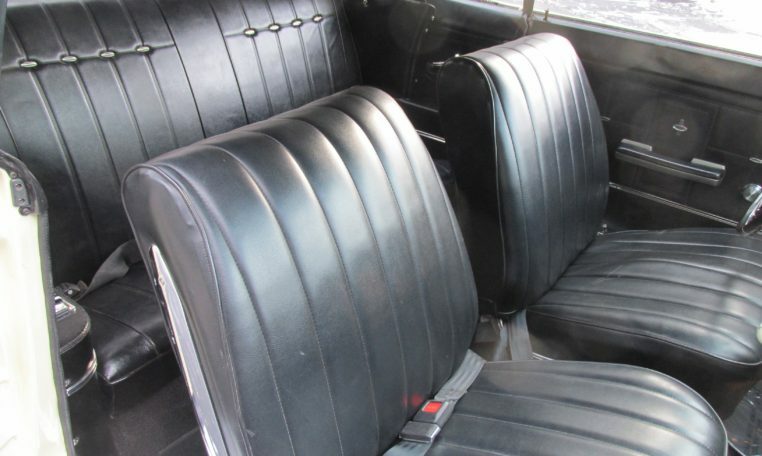 It’s painted Lemonwood yellow with black vinyl interior. 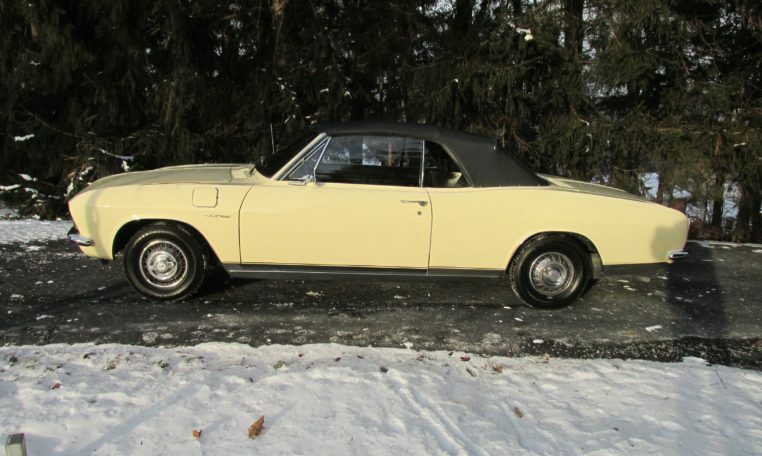 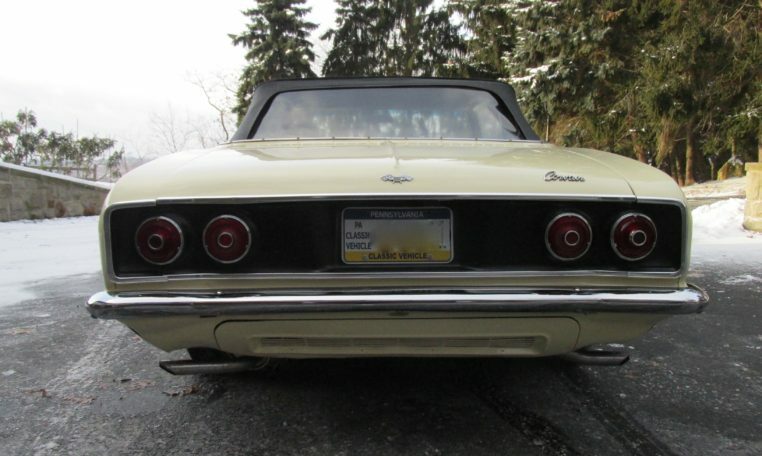 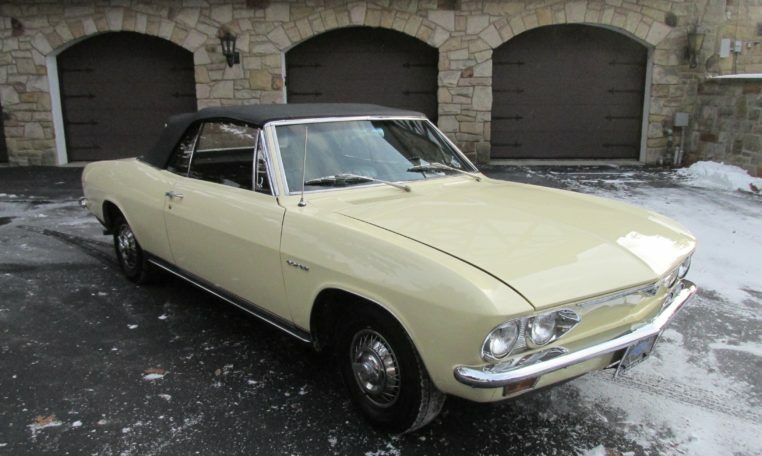 This 1966 Chevrolet Corvair Corsa Convertible is one of the most desirable factory Corvairs short of the Turbo models. 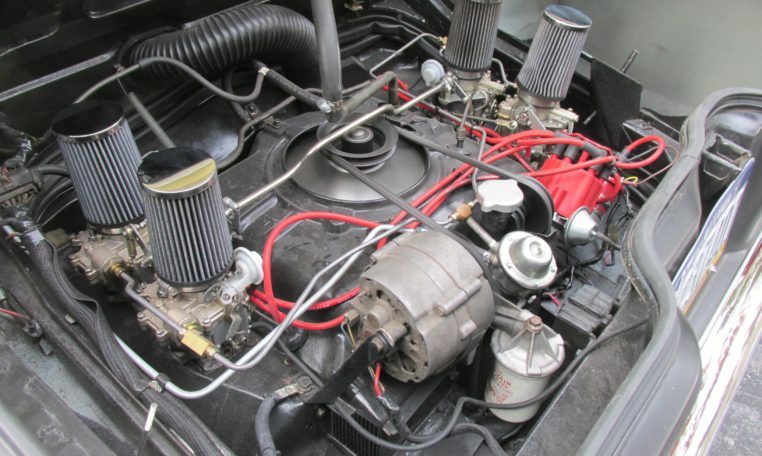 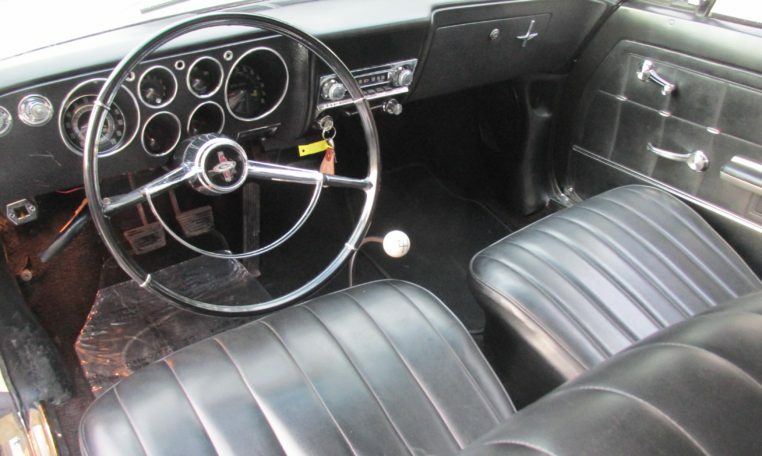 They were available for 1965 and 1966 only and came with many performance upgrades like large Chevelle brakes, beefed up ring gear, Declo alternator, and handling tuned chassis. 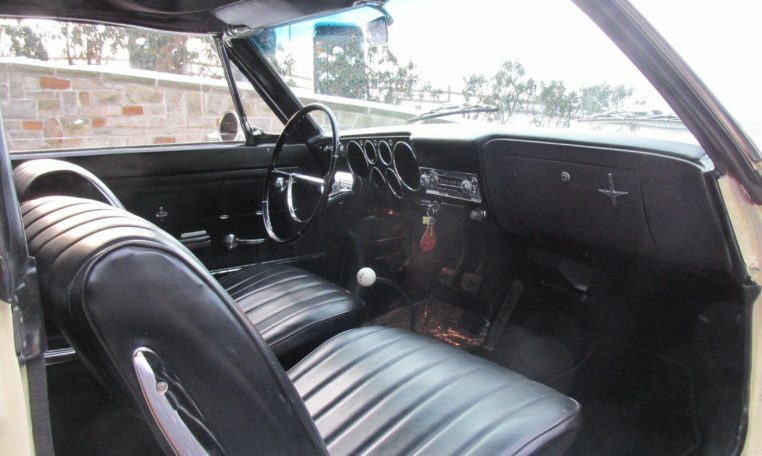 This particular car has the 140 HP, quad carb 2.7 liter flat six and the fully synchronized 4 speed manual transmission. 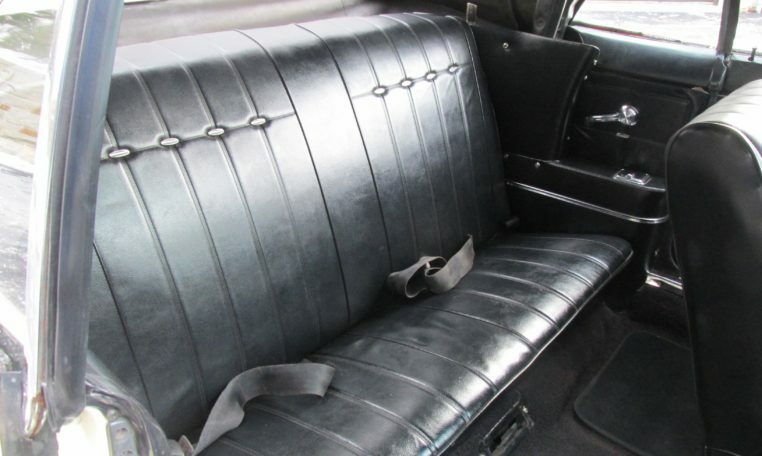 Contrary to popular belief, these cars were some of the safest cars on the road for its time. 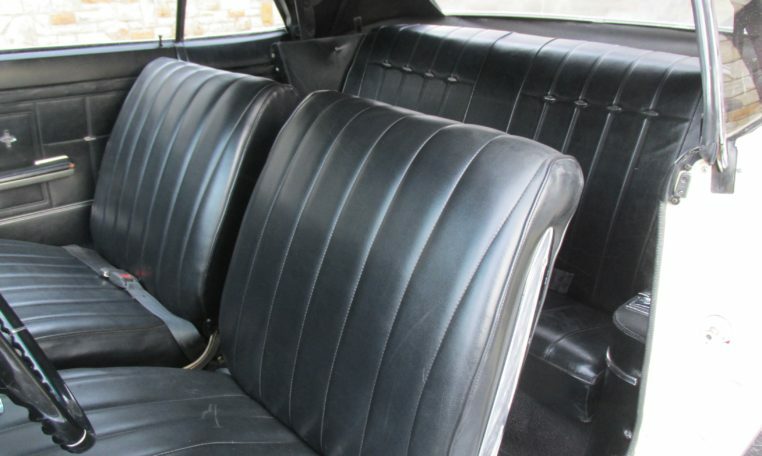 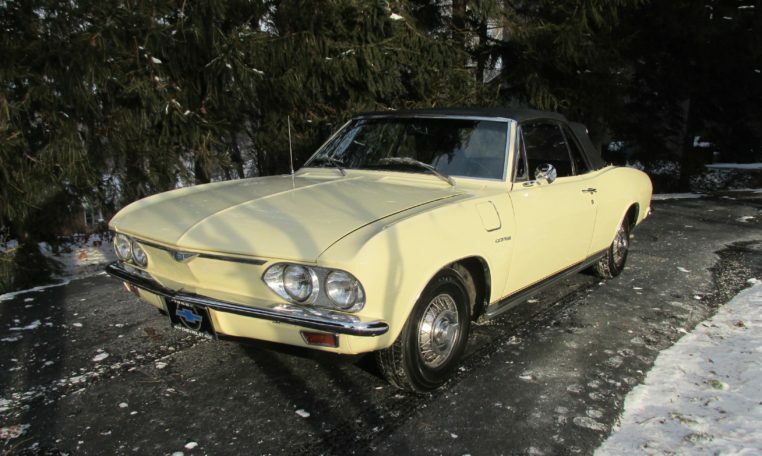 These second generation Corvairs had fully independent suspension (vs the old swing axle) as well as a collapsible steering column. 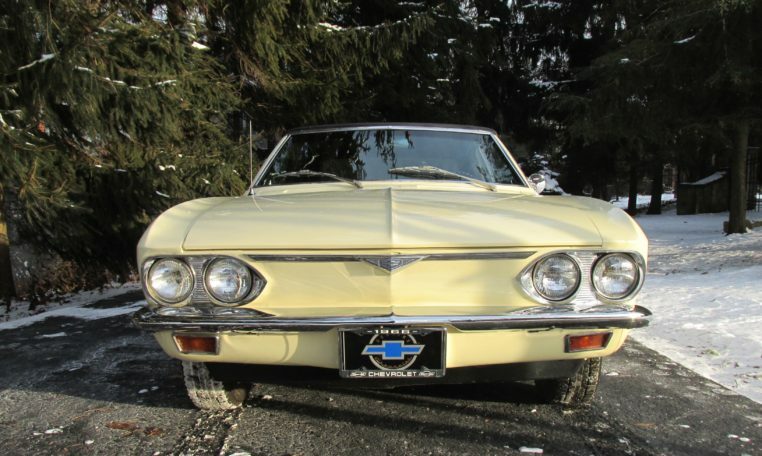 This Corvair has a newly rebuilt engine with less than 100 miles on it. 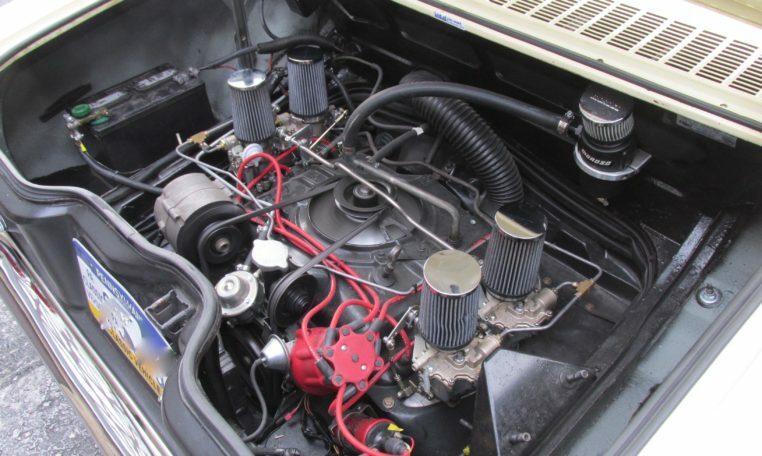 It runs well and has a surprising amount of power. 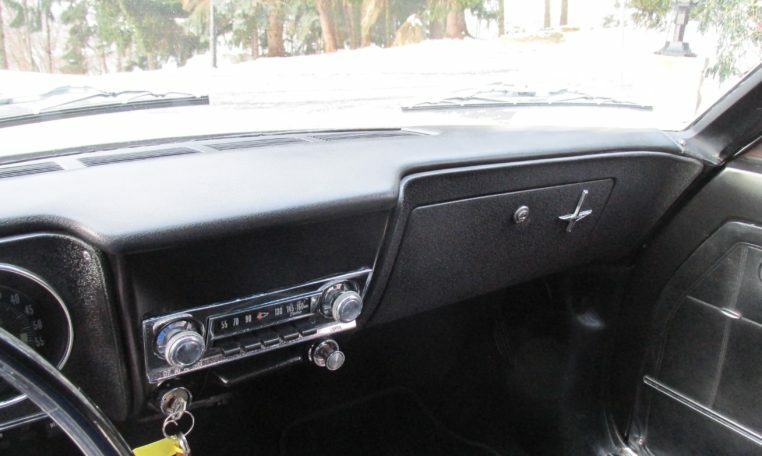 The 4 speed shifter feels precise and the short travel clutch makes it easy to drive. 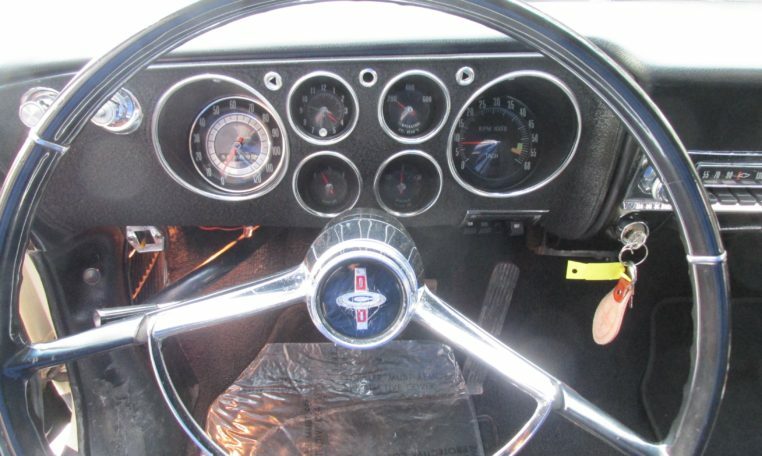 Because it only weighs 2,700 pounds, handling is good and the steering and brakes feel work well. 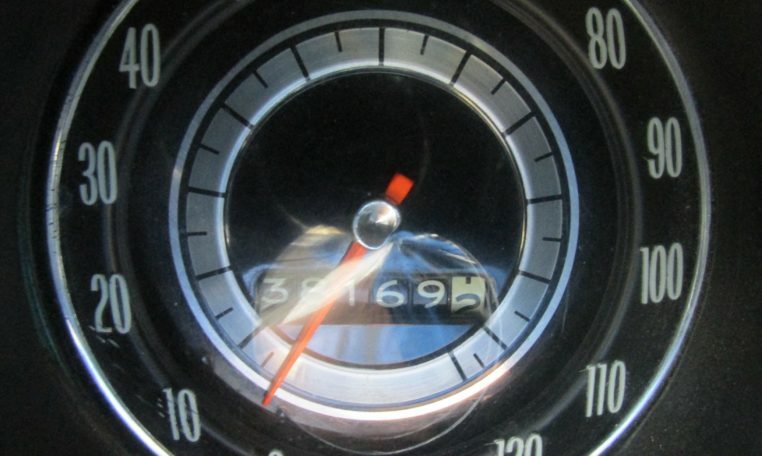 If stay off the throttle, you can actually get over 20 MPG’s too. 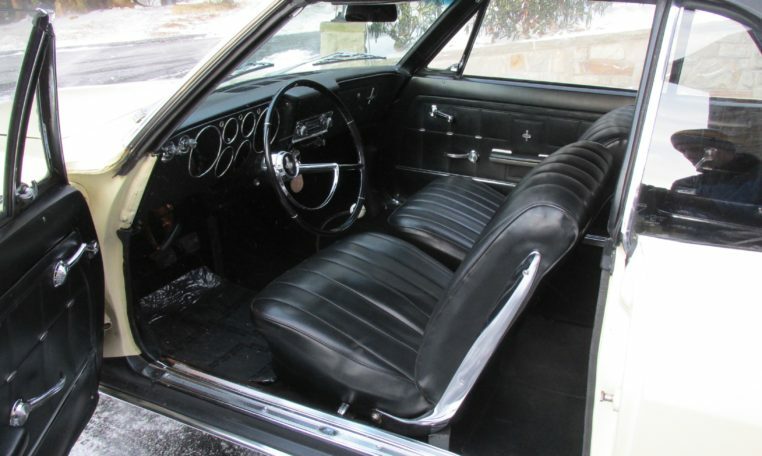 The exterior is good shape for an older restoration. 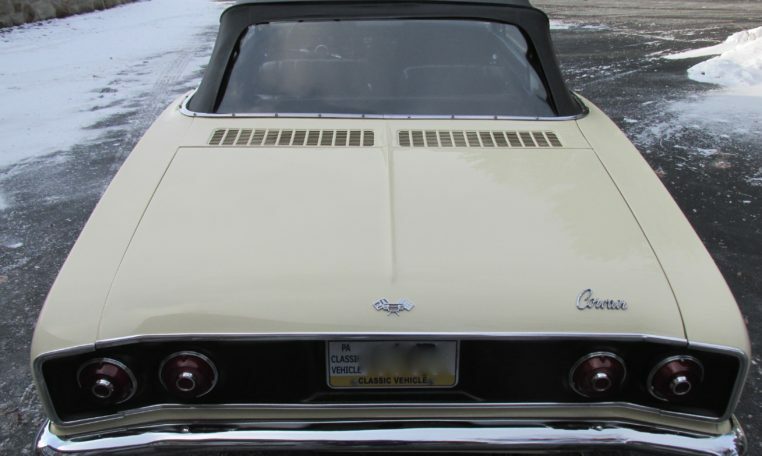 The paint is Lemonwood Yellow and is in good condition except for a few odd scratches. 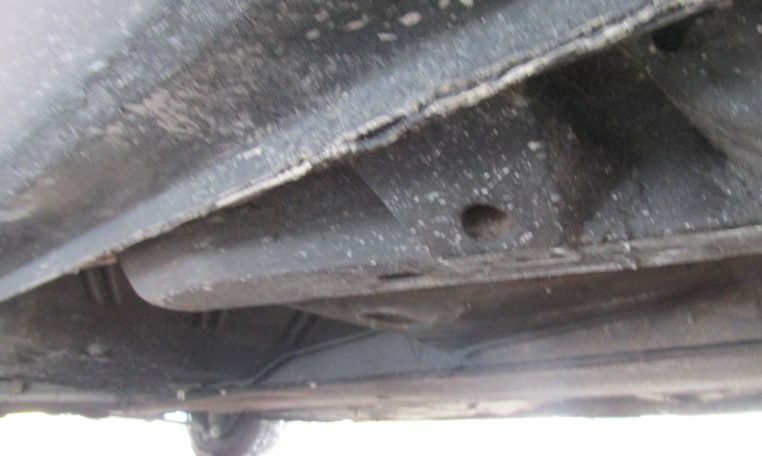 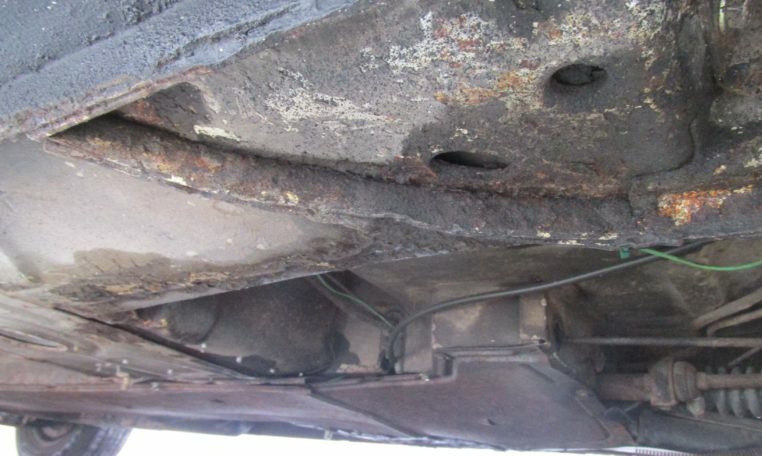 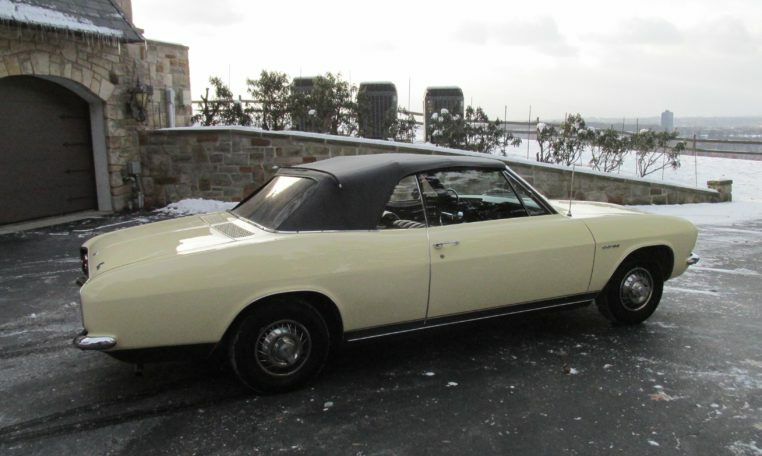 This particular car was optioned with the power convertible top, the top itself looks to be in good condition. 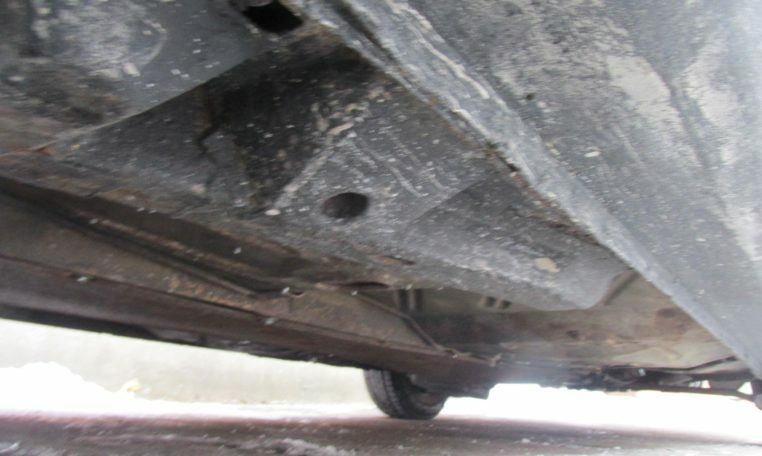 The wheels are 13’s with wire hubcaps. 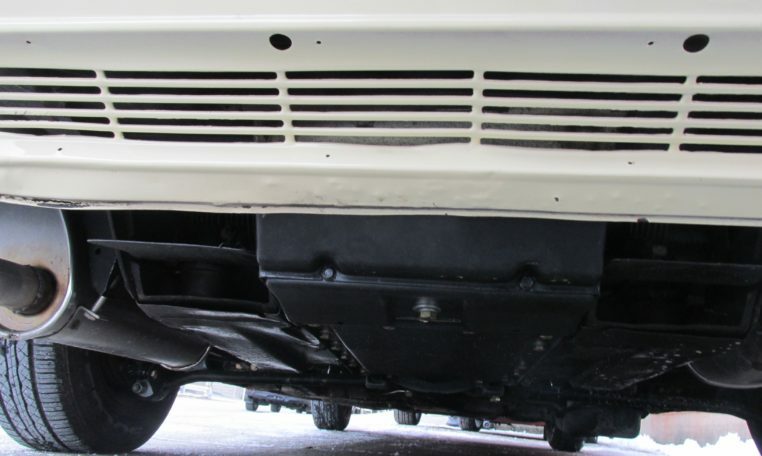 The chrome is bright and in good condition. 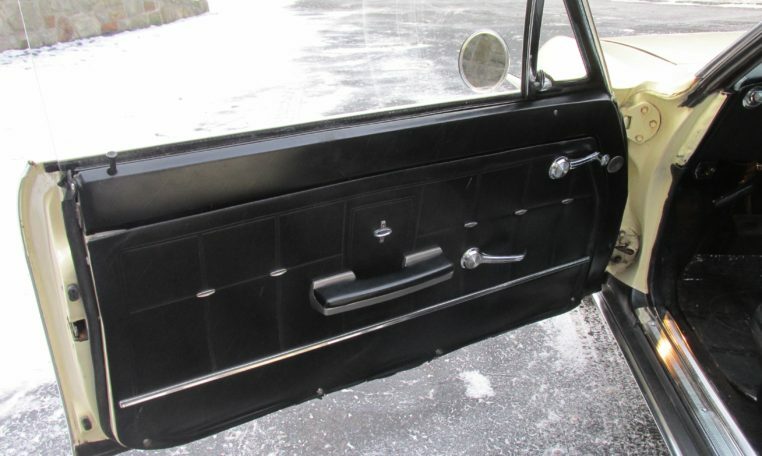 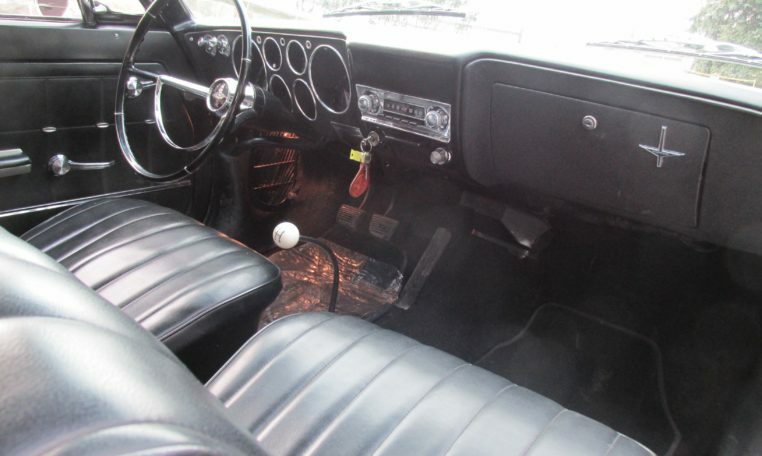 The interior is black vinyl with front buckets and floor shifter. 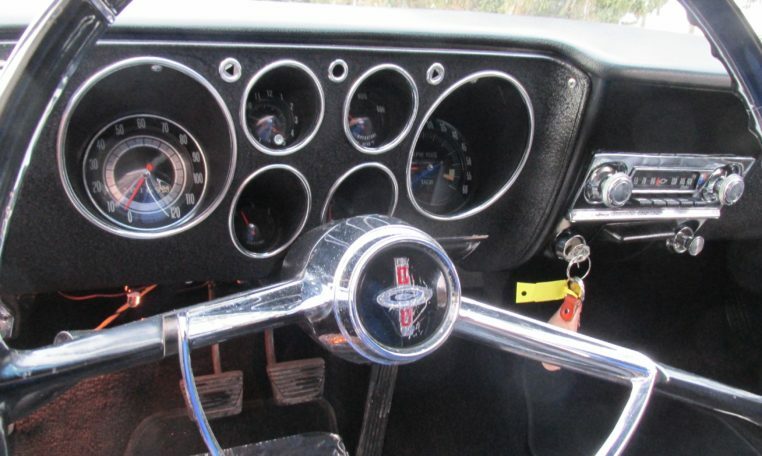 There are a full set of gauges that all work well. 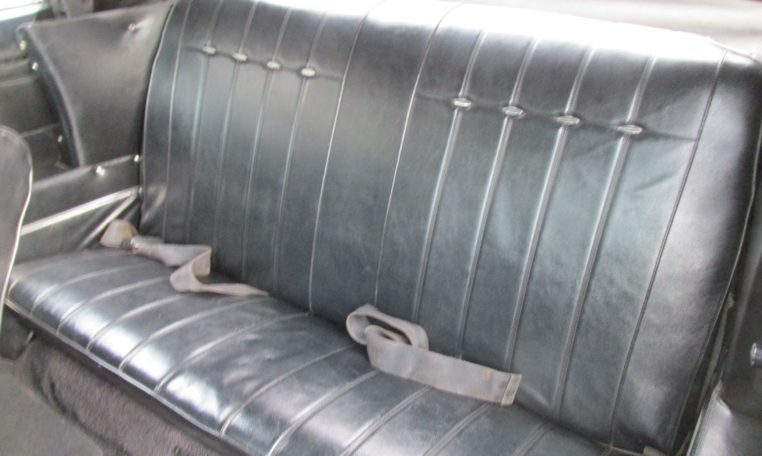 The dash, carpets, door panels, headliner, and seat covers are all in very good condition. 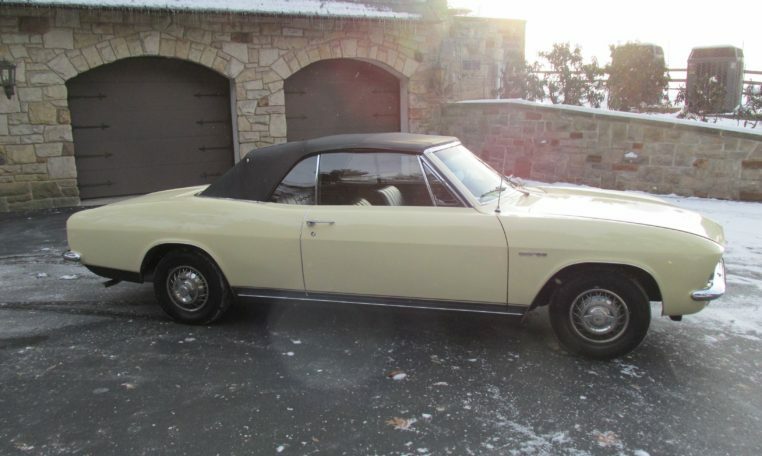 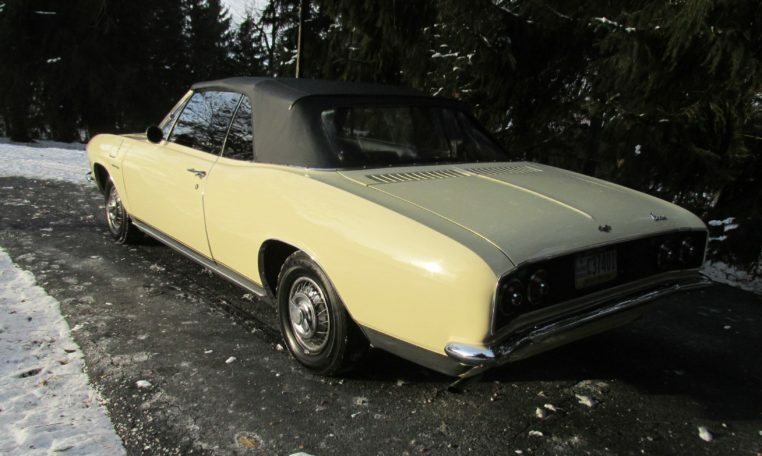 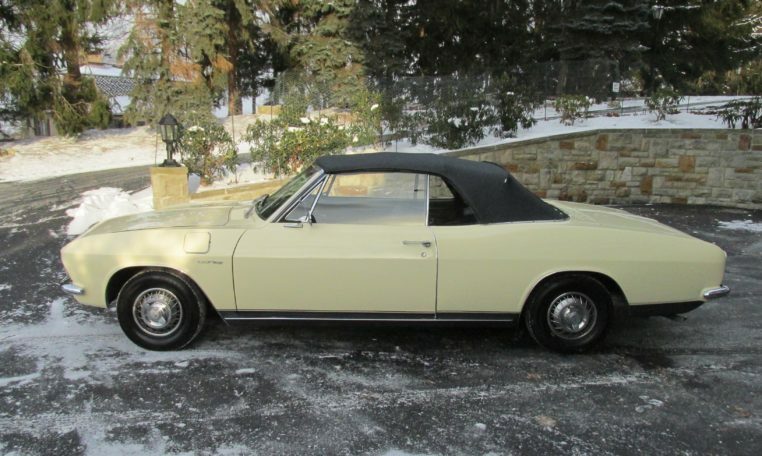 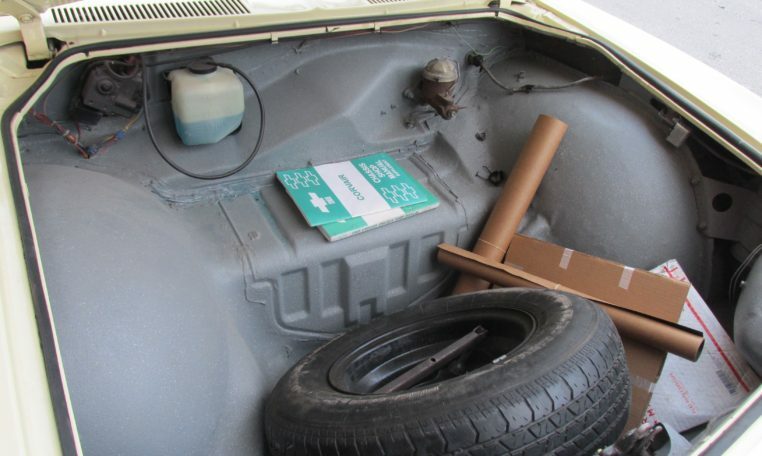 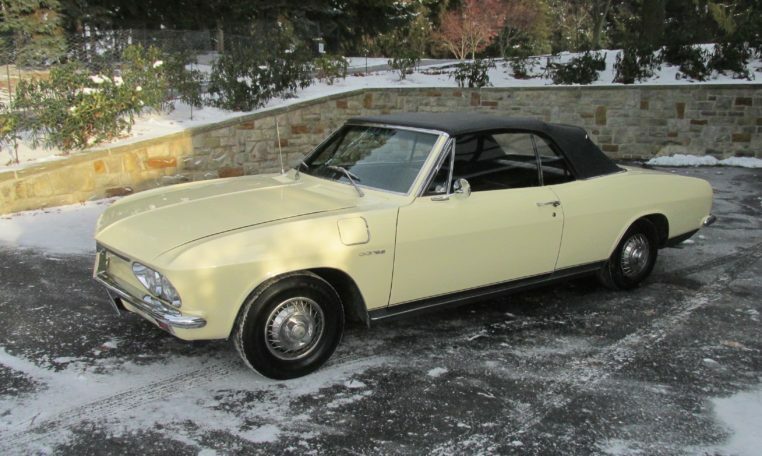 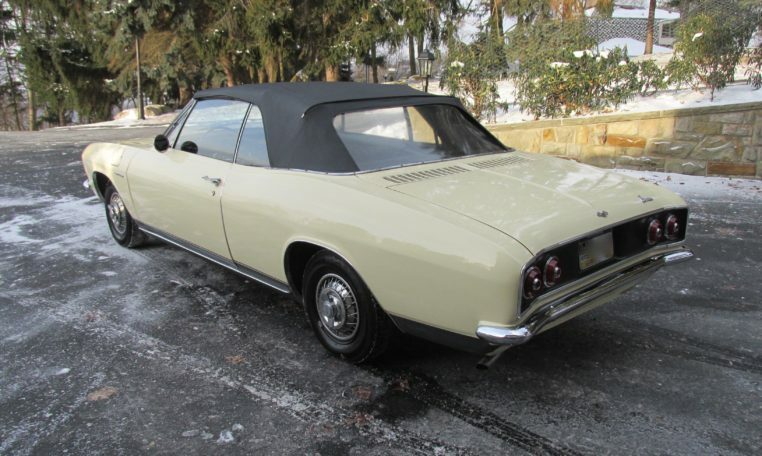 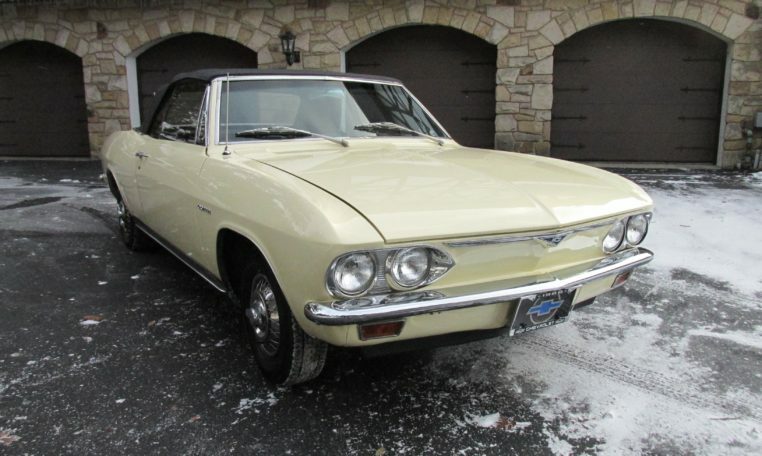 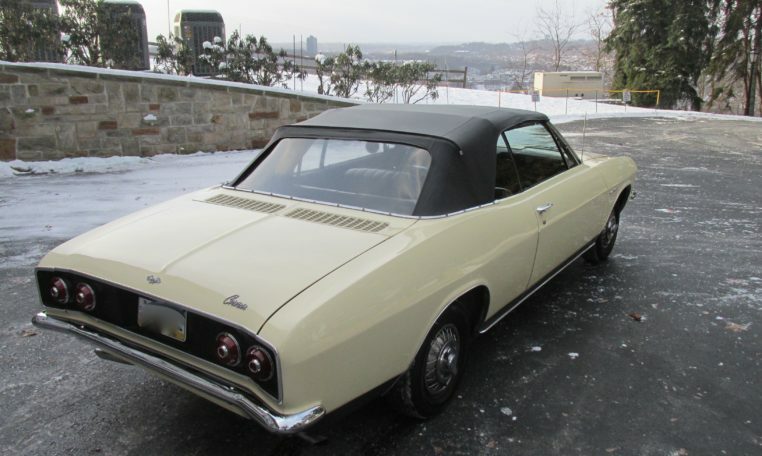 This Chevrolet Corvair is held on consignment and is not owned by Fort Pitt Classic Cars.